Local radio station, Mix 106, is hosting a two-day toy drive for children at Lucile Packard Children’s Hospital Stanford. The donation drive is set for Nov. 30 at 6 a.m. and Dec. 1 at 10 a.m. Donations will be accepted in person at Main Street Cupertino, 19429 Stevens Creek Blvd, or online here. Residents can donate unwrapped toys, books, gift cards and cash. Donations will support Lucile Packard Children’s Hospital’s “Fun Fund,”which provides a “holiday gift for every child spending the holiday season in the hospital,” according to organizers. Items most needed include: Gift cards (Target, Amazon, Visa, Google Play), Lego sets, board games, Play-Doh, art & craft sets, coloring books, crayons, bubbles, action figures, plastic toys, figurines, Fisher Price Little People sets and medical play kits. 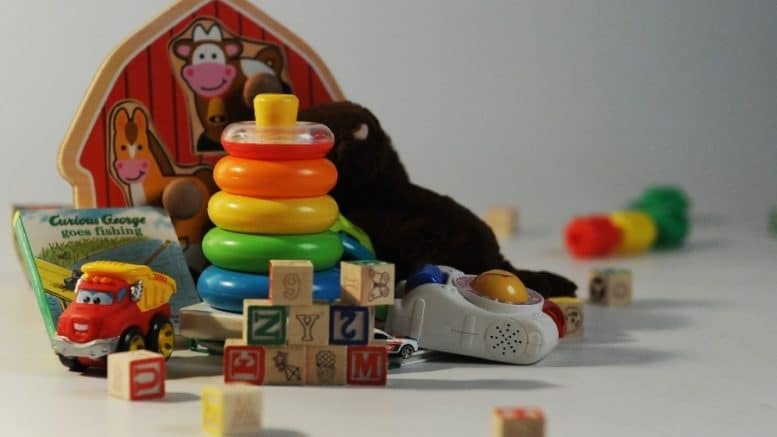 For infants, organizers are seeking items such as Fisher Price mobiles, crib soothers and sound machines. Donors will have the chance to win prizes such as concert tickets, passes to Great America, outdoor events and more. Any remaining funds from the donation drive will go toward books and toys for the Children’s hospital. Be the first to comment on "Radio station is collecting toys for Children’s Hospital at Main Street Cupertino"